JR ACCOMMODATION offers you three star self-catering accommodations. Style full apartments and is affordable. We offer you heart-warming accommodation where you can feel at home, while making your stay in Cape Town one to remember. JR's apartments are tastefully furnished, include DSTV and located in a quiet, safe area with security gates and electric fencing surrounding the premises. Apartments are service daily except for Sundays and Public holidays. 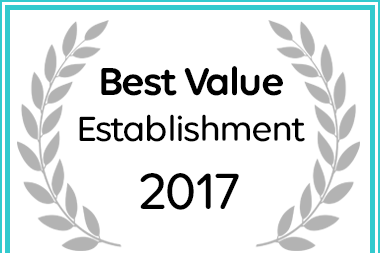 JR Accommodation has won a Best Value Award for Self Catering Accommodation. Copyright JR VERBLYF/ACCOMMODATION © 2018. All Rights Reserved.